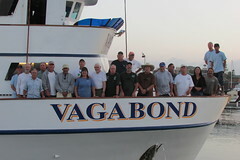 With one of the strongest El Niño’s in history happening, the 16 of us gathered on the Vagabond with much anticipation. 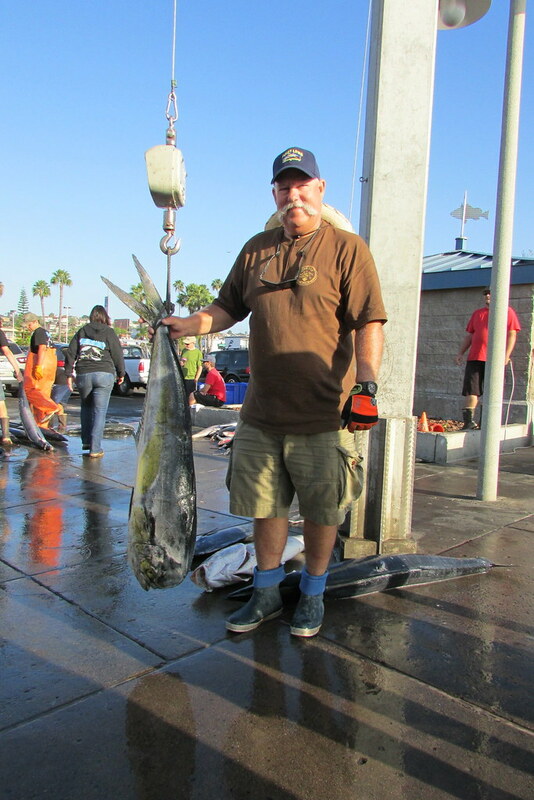 Wahoo, Blue marlin, short billed spearfish were all being caught right outside the harbor entrance just a few miles! We joked that maybe Captain Mike would spend the whole trip right off San Diego but we knew that he had a great trip planned for us down south. We finished the necessary chores (Food and bait) and Mike pointed the nose of the Vagabond south to familiar waters. We gathered in the galley after Mike contacted all of his code group to get the latest fishing info. 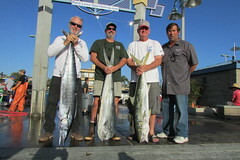 Lots of Wahoo he said with just a little bit of yellows and school tuna down in the normal fishing areas. That was fine with us as we absolutely love the adrenalin rush of Wahoo fishing!! 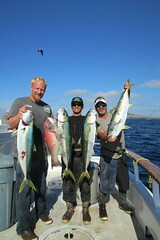 We stopped at San Martin and Cedros for just a few yellows and bottom grabbers before we headed across to Alijos Rocks. Mike said we would have it to ourselves as the other boats had all ready been there and were on their way to other points. 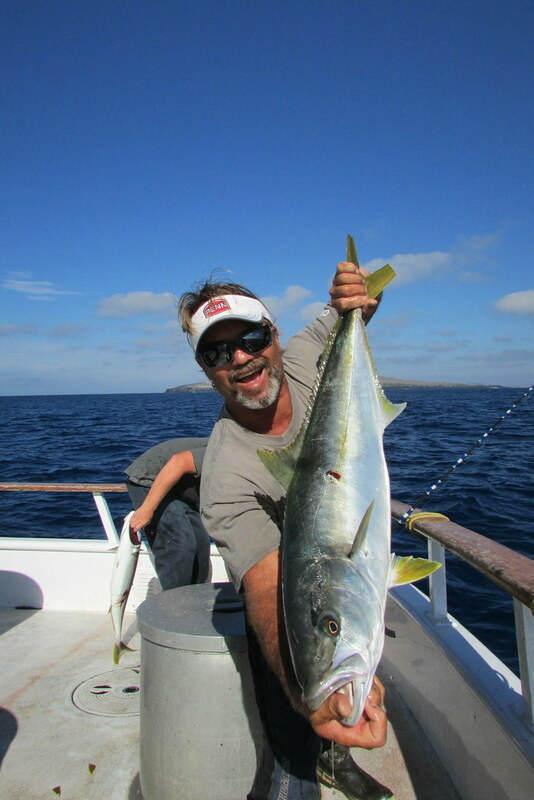 Damn the bad luck (with a smile on my face) as I knew the Rocks fish much better when the pressure is down. 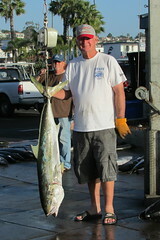 They did not disappoint as it seemed like the Wahoo were everywhere that Mike went. 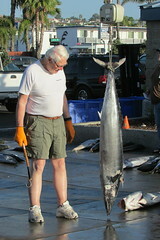 I know one thing, we must have practiced losing Wahoo in the off season as we were experts at it!! The count was not what it should have been but when your with friends, it doesn’t matter as we talked in excited voices as we moved from school to school trying to figure these escape artists out. I joked at one point that God must really love Wahoo as he sure has given them plenty of tools to get off the hook to freedom!! We ended the exciting day by anchoring up in 250′ of water and waiting for the great night bite that Mike had told us about. 100lb test, dropped loops with 12 oz of lead was being readied as we went to bed and just like clockwork, the yellows started to bite at 3 am. Those yellows sure can pull hard when the skies are dark, the coffee is brewing and the smell of bacon is coming from the galley getting ready for Craig’s breakfast in a few hours! We did much better with the yellow fishing and when the sun came back up, the yellows stopped biting and a tired, sore bunch racked our rods. 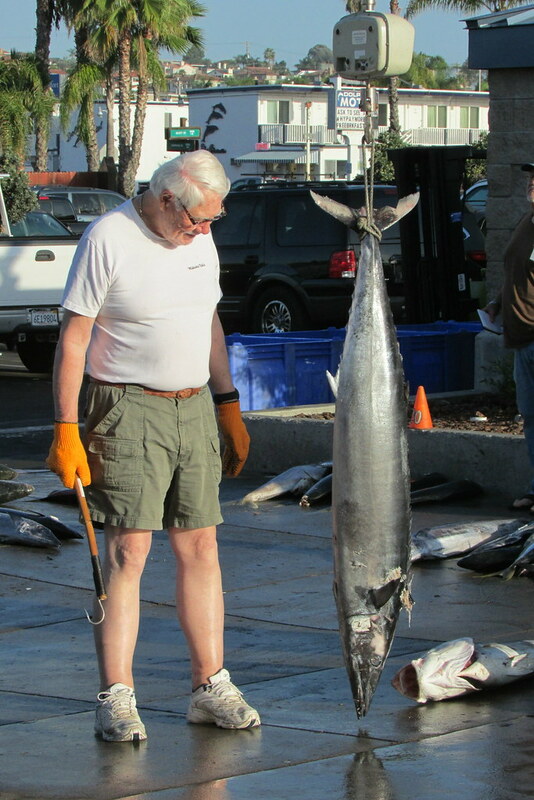 Some of us slipped back off to bed, but it did not last very long as Mike found the Wahoo again and we repeated the day, but with better luck. We honed our skills and eventually got everyone onboard a Wahoo. 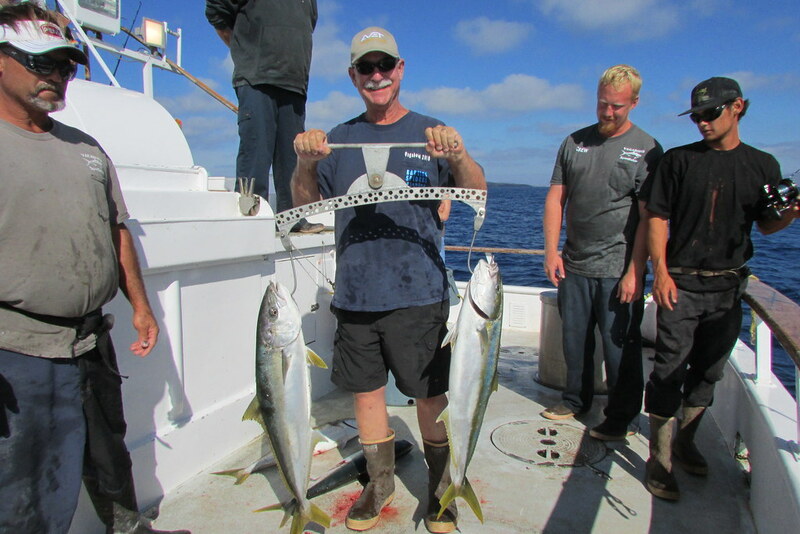 The routine went on for 3 days except for when Mike took us to the bank 10 miles to the southwest of the rocks to poke around a little bit. After an hour of traveling, just as we climbed up into the shallow, the troll rods went off and the Wahoo stormed the boat. They were everywhere! But as we reeled the fish to the boat, large brown images started to appear from the depths. Sharks and lots of them!! Those that were lucky enough to elude the teeth of the Wahoo and keep the fish hooked up, were not so lucky with the teeth of the sharks. 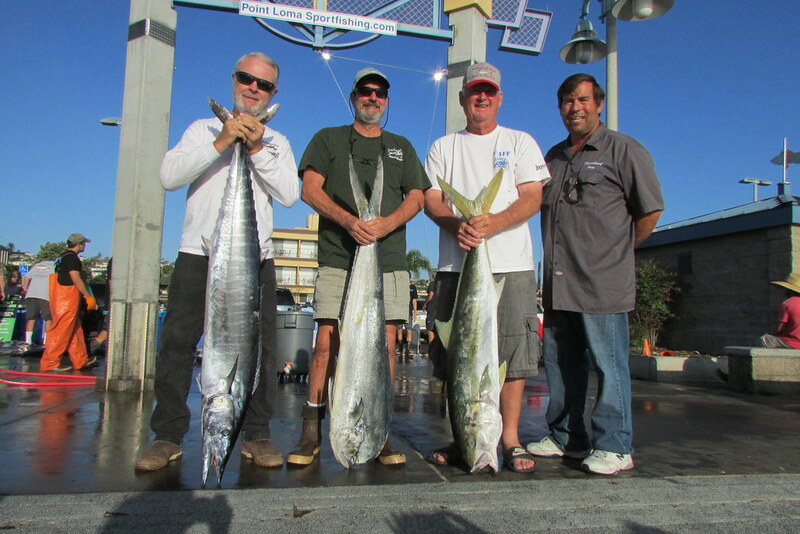 They also stormed the boat and made short work of the struggling Wahoo as they gobbled them up as fast as we could get them to the boat. 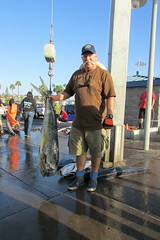 Quite exciting actually as we got to see the raw power of the shark as Earls Wahoo was eaten in one bite as a hiding shark zoomed out from under the Vagabond and ate his fish in one bite as it was getting ready to be gaffed! This same scenario happened a few more times in the next couple of hours before Mike pulled the plug and went back to the Rocks! 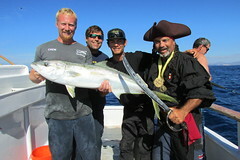 For 3 days we caught Wahoo and billfish during the daylight hours and creamed the yellows in the dark. Very exciting and tiring to say the least! We left with HUGE smiles on our faces. 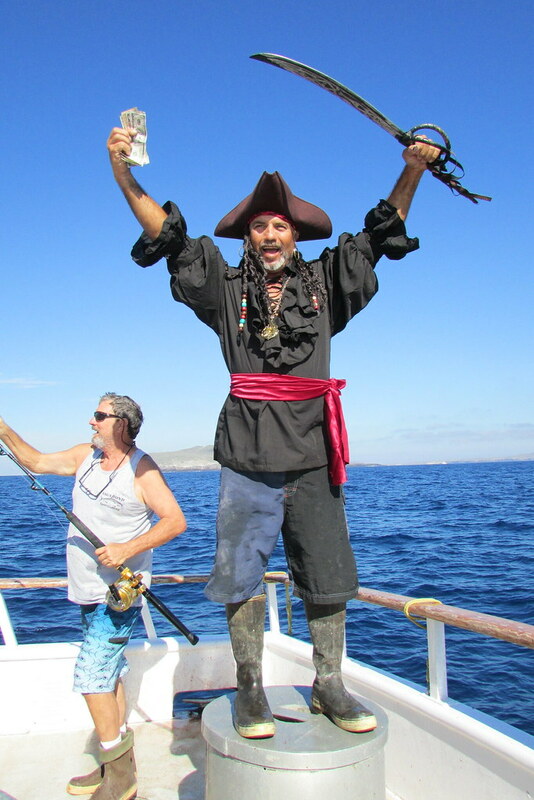 We then ventured down to the ridge where we got a call from the Spirit of Adventure that he found a large school of Wahoo (Damn the bad luck again!) and he needed some help in the harvest. We were more than happy to oblige as we were now all skilled Wahoo fisherman and we were ready to practice our craft on a new school! 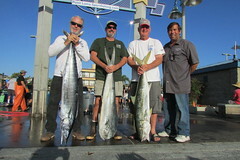 We were not disappointed and we steadily started catching Wahoo and many of us were approaching our Mexican limit. 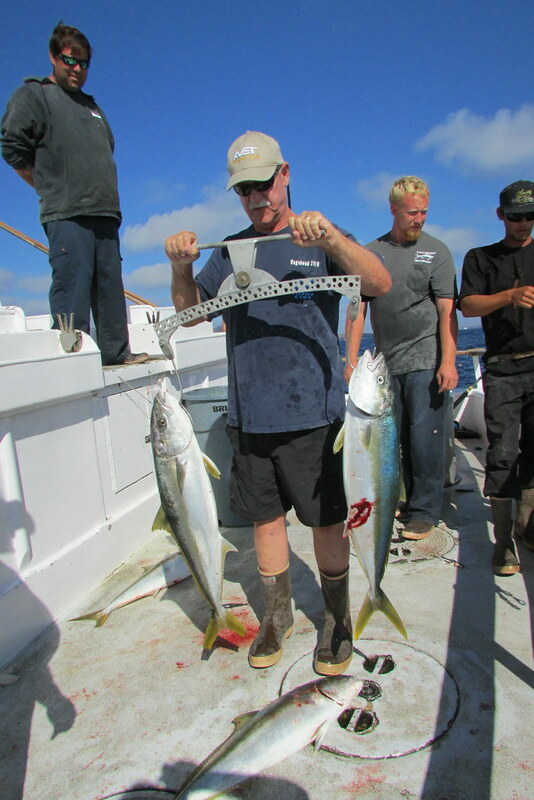 Mike is very good about keeping an accurate count of the fish as it is dropped in the well, letting everyone who got a limit that they were done. 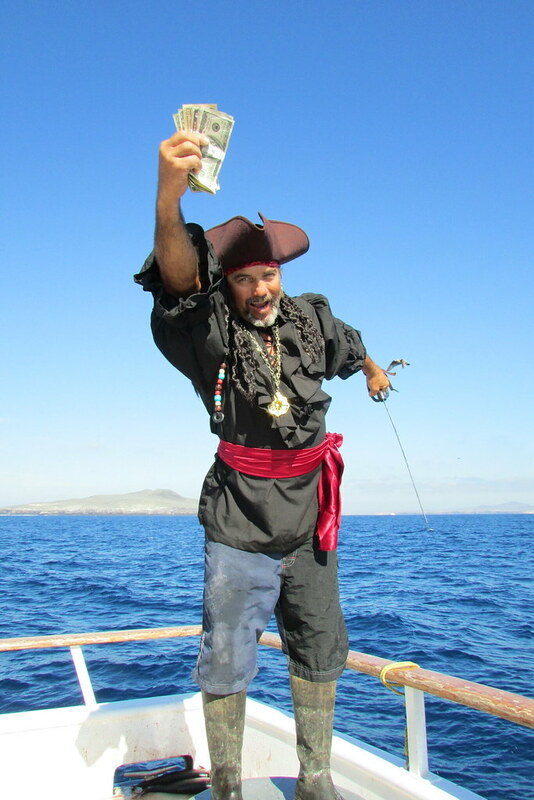 We did this for a couple of days, looked at our calendar and begrudgingly pointed the boat toward home. 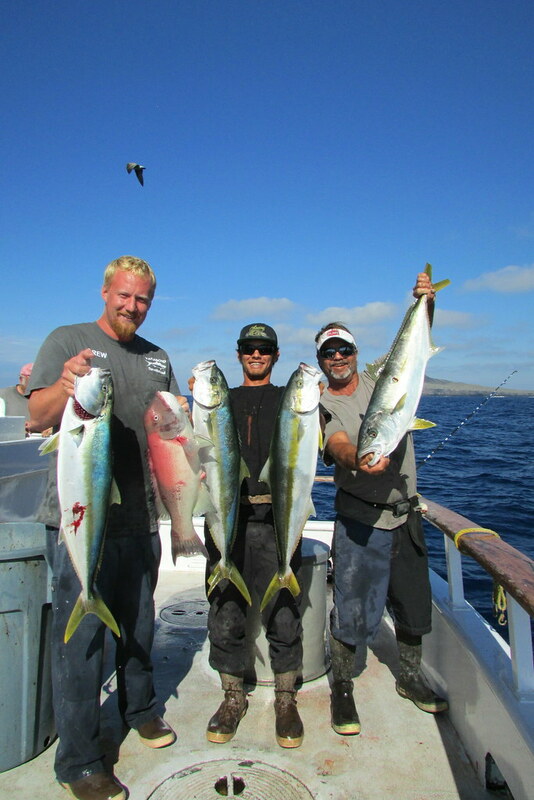 We tried to catch some yellow fin and yellows on the way home but the El Nino hot water (81-84 degrees) had them elsewhere. 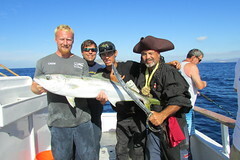 We had only one more thing to do as we traveled and that was to find some decent fishing to have our crew fishing tournament. Mike stopped at all the normal spots but the fish were not to be found. I actually thought that we might not have it, but guess what, and what a surprise, Mike found a willing school of yellows at San Martin and the game was on. 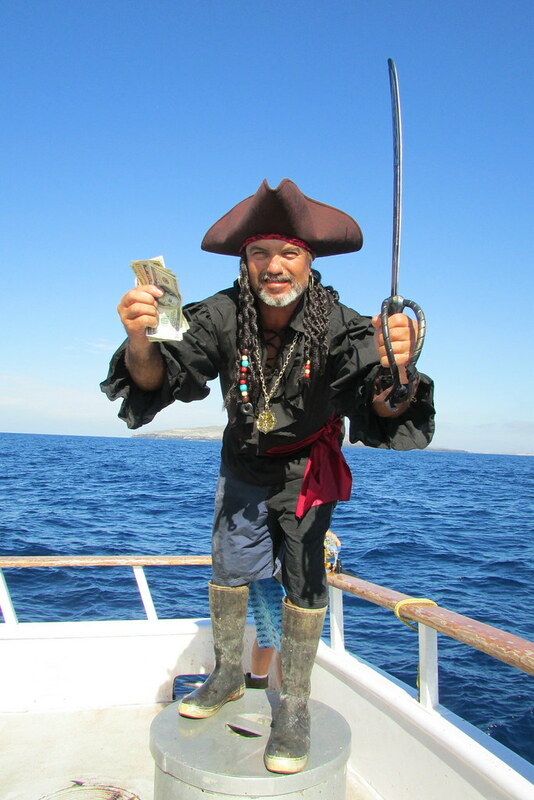 We had heard throughout the trip who was going to win, with Kyle and John already trading friendly jabs on how they were going to spend their $300 booty. But not a peep from Gordon the whole time. Fishing started and John and Kyle kept it interesting by heaving yellows on to the deck. 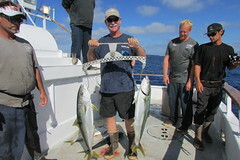 Gordon stayed cool and calm under pressure as he was not catching anything, at least not like the other 2. 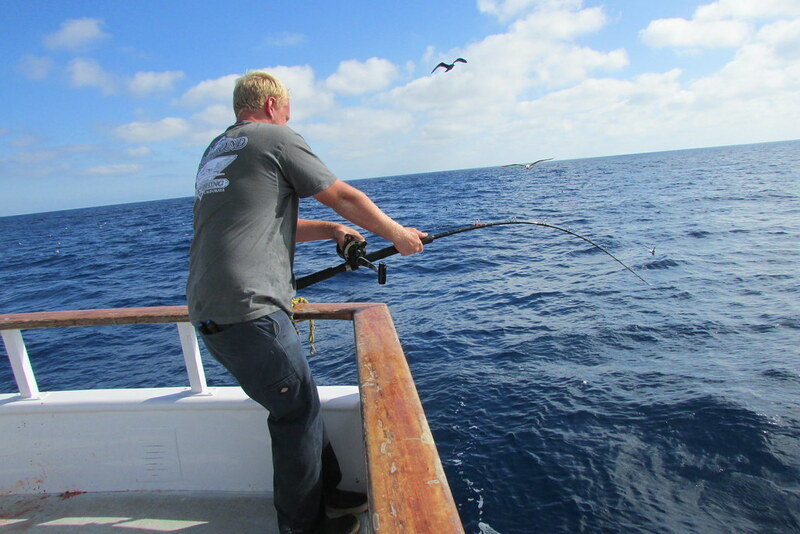 We are down to the last 5 minutes and Kyle hooks a big yellow at about the same time Gordon does. The comments from the passenger peanut gallery are at an all time high, with many of the deckhands favorite sayings while the passengers are hooked up, are echoed back right at them. 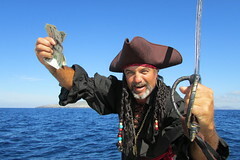 Kyle’s fish gets ate by a sea lion and Gordon throws his fish on the deck. Time is called and the balance beam is broken out, the dust blown off and put to work. Kyle and Johns fish are close but no match for the “giant” fish Gordon caught! Gordon’s fish is hung and the balance beam ever so slightly tips in Gordon’s favor!! Gordon won again and I couldn’t help but remember the old quote, “Age and treachery will always overcome youth and skill” as Gordon kept his cool during the whole tourney as he hunkered down in the Port corner and got to work. 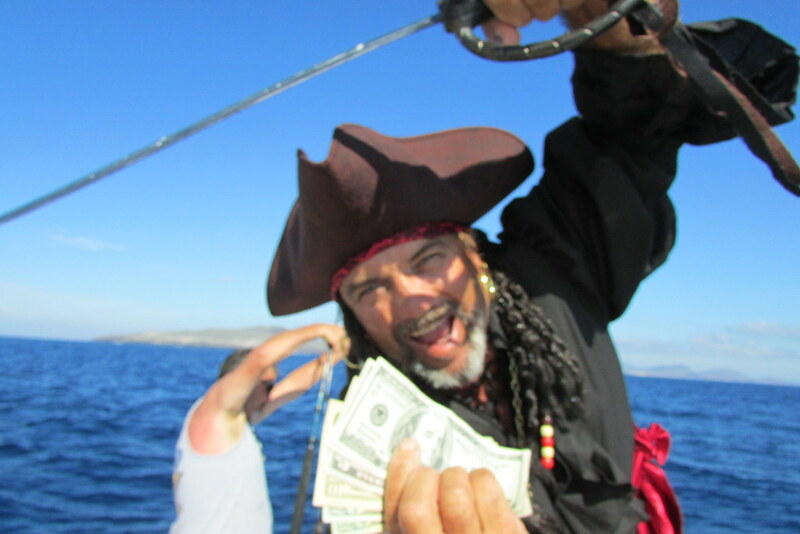 We pulled the anchor and headed back home to San Diego Bay, with many of us commenting on how fast the 10 days went. (Time sure does fly by when you having fun!) Debbie readied the galley for the annual “Dirty Santa” raffle and the games began. Fun was had by all as Mike pulled the names and prizes from the bag and the prizes were snatched up and “stolen” by the contestants. When then dust settled, Paul White ended up with the big prize, a beautiful Penn 2-speed Fathom 25N . Congratulations Paul. 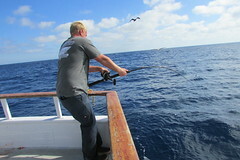 You will love that little reel as I caught most of my Wahoo on one just like it! Plans are already being made with next years trip looking like it will be Oct 17-27, tentatively. I would like to thank everyone on board who helped make this trip memorable as usual. My wife Debbie, Mark Mayo, Mike Sur, John Nakatani, Tony Shanley, Paul White, Bob McKittrick, Fred Dunham, Tim Macauly, Steve Kohl and new comers Earl Asbury, Tami Posada, Tom Mario, Steve Mayes, and Chuck Prichard. 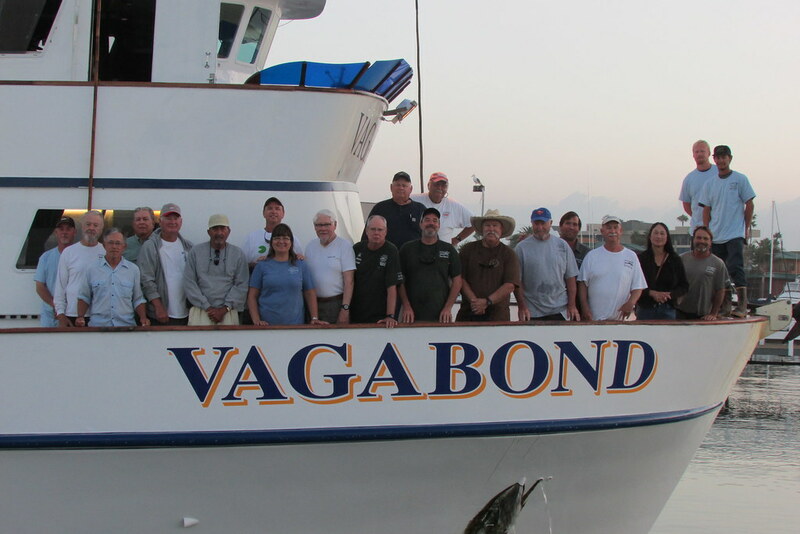 And we cant let the story end without thanking the crew of the Vagabond- Craig and “GB” in the galley. 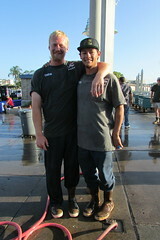 Once again awesome, with many of the new guys totally blown away with then quality and variety of the meals served! Kyle, “Teddy” and Gordon on deck with their ability to keep cool when Wahoo have the passengers all excited and not thinking or listening! 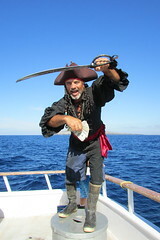 And Captain Mike Lackey. Thanks again for a wonderful trip! 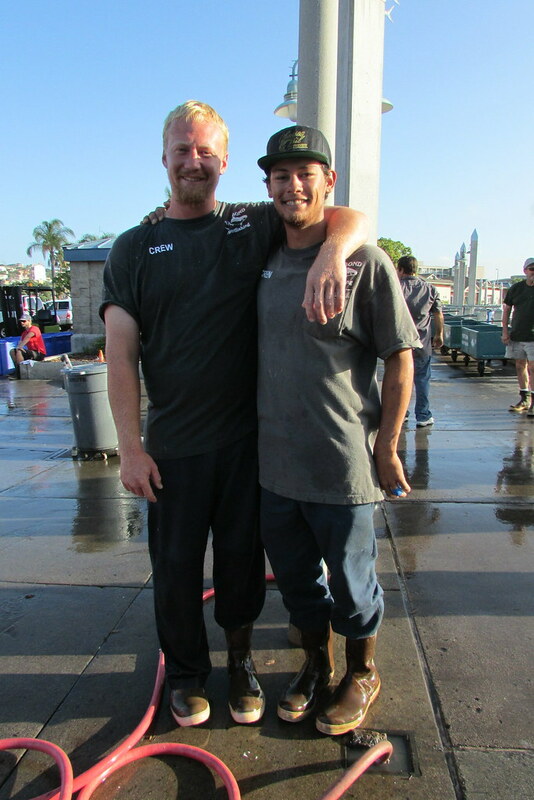 Your fish finding skills are truly a gift and we were blessed to be on board as you used them for us one more time! And we can’t forget Admiral Dawn lackey (Mike’s wife if you didn’t guess!) the glue to the whole operation!! See you all next year for another great adventure! !